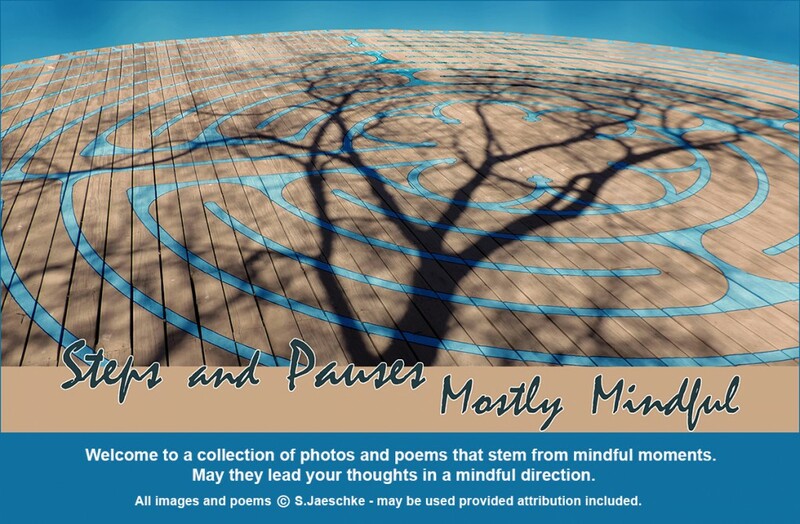 Posted on 2018-12-05 by Jazz Jaeschke	This entry was posted in Bowl Of Stones, Mindfulness and tagged Cloudcroft NM, Labyrinth, Stone Energy. Bookmark the permalink. “remembrance of this symbolic walk to your essential center” – I like this phrase. When I hold a stone it does give me a feeling of returning to my center. Some of my most treasured possessions are stones. I am a rock collector of sorts – I love rough ones with “landscapes” for the imagination – they are more useful (to me) than any crystal ball. But polished gemstones also snare my attention … and fit into a pocket! I have a few polished gemstones as well as some rough odds and ends, including a meteor fragment, that friends have given to me over the years. They all have their stories. I love this post, Jazz – the poem, the prose, the photo. What a great way to spend time with friends, making and walking a labyrinth. Add the stone fragment to take home as a reminder is such a thoughtful act. You are inspiring! Luanne, thank you! The first year I placed a large crystal on the labyrinth, but wanted something more touchable – the gemstones proved a popular centerpiece. This makes me want to put together a bowl of stones and possibly other items. Maybe if I do that I can stir it when I pass and thus increase my own energy level. I have some colored stones that I’ve always meant to use somehow–this may be how! Enjoy – Slipping fingers into a dish of small polished stones feels wonderful! I collect polished dinosaur bone; they are often called polished dinosaur gems or polished dinosaur bone. eBay! Polished bones with multi-colored features and certain colors, like canary yellow and bright blue, are more valuable. Ahhh – Googled polished dinosaur bone and the 3rd image was from your blog 2013 – fantastic. I will keep an eye out now that I know about these … especially next time I’m in Utah. The polished rocks are gorgeous – what a wonderful ritual and ceremony celebrating life and spirit. Thank you, VJ. Treasured experiences – especially the hours measuring and laying it out – but even the several times I had to chase cattle away. haha – all make for good memories.